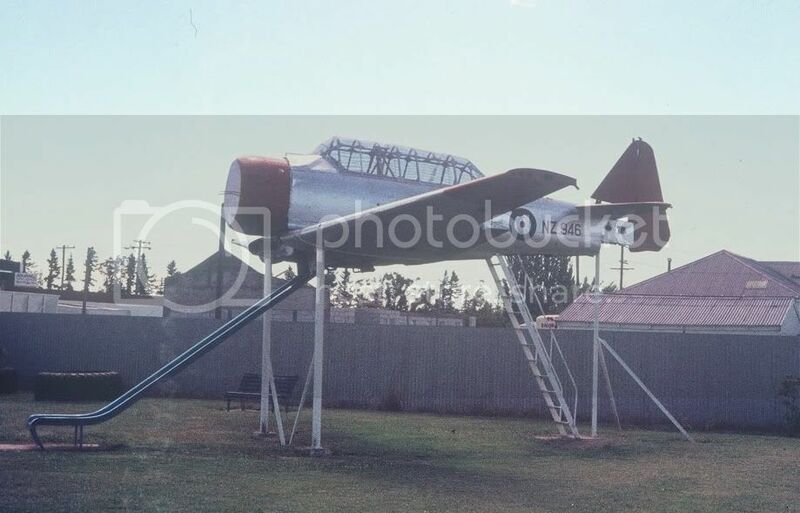 Just adding a thread to raise awareness about the Pahiatua "Harvard Adventure Playground" with the infamous Harvard Slide. Pahiatua has (finally!) 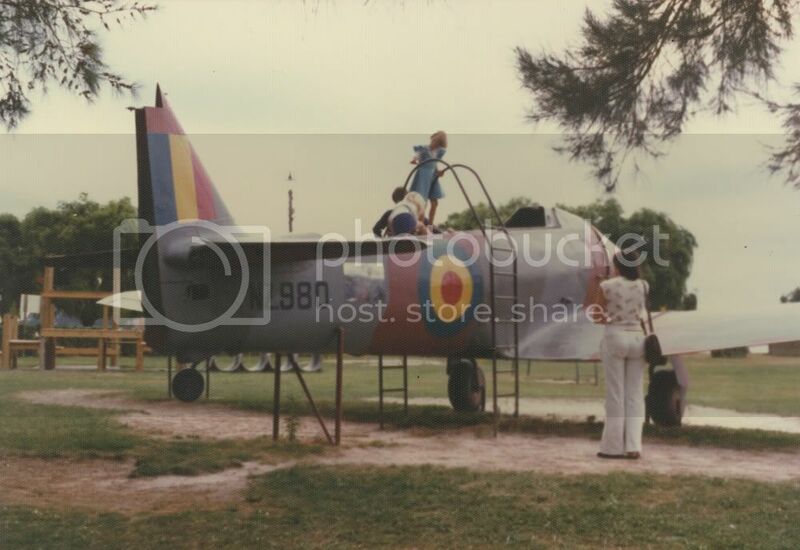 embraced the Harvard and the playground as a point of difference in the town and is fundraising madly to upgrade the playground facilities. Based on the fundraising sign at the Xmas parade I passed through today, they have now completed the first stage a $100,000 upgrade of the play equipment (which looks amazing!) and and are progressing to the second stage which is an upgrade of the large fort behind the Harvard. 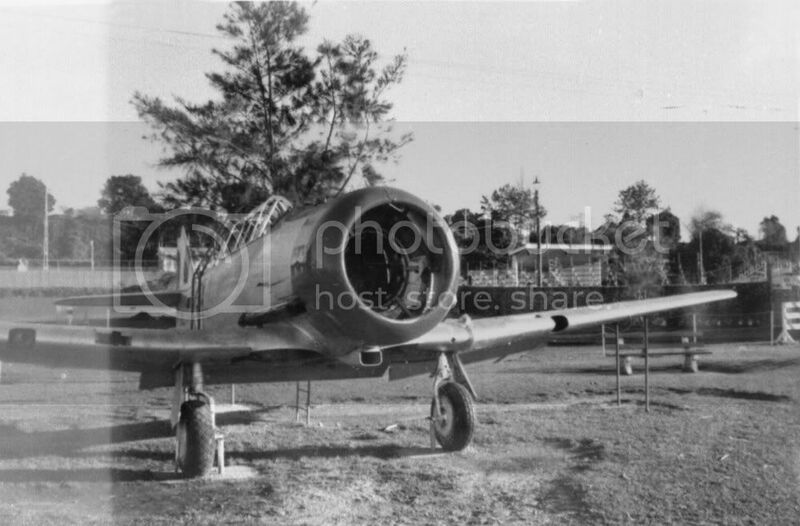 What was good to see was that the next stage or two included preservation work on the Harvard itself - it has definitely seen better days with the Canopy being open for quite some time. I must say though I am dissapointed that their application for a Skyhawk was turned down, a Skyhawk slide would have been awesome! 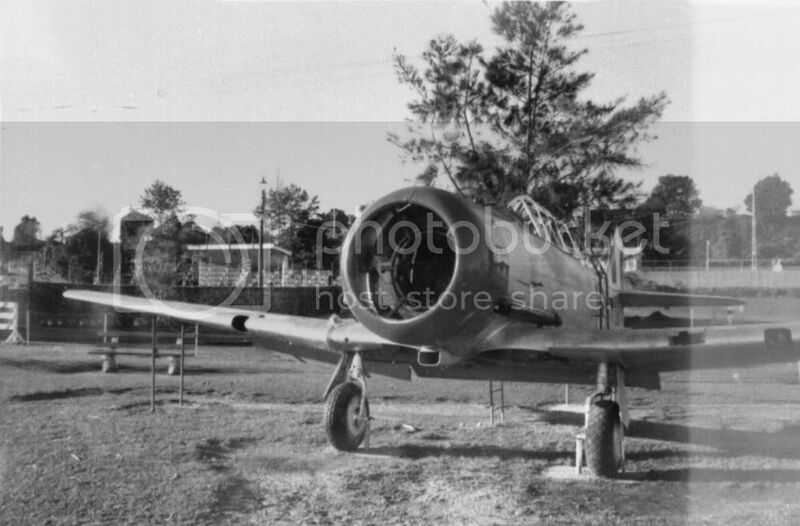 I've had my eye on this Harvard since I've been doing some work up this way and I gotta say: What does it take to save the old girl? It's sacrificial enough already to have REAL planes as gate guardians let alone as a neglected/abused play-thing in a small rural part of NZ. I can remember playing on it when I was a kid, and I knew exactly what it was (thanks to Dad), I wonder how many kids do today... When there is so much effort and money put in to preservation of airframes of historical value this seems to be an enigma. I quite like it there, actually. The last remaining example of what was quite a common sight around NZ back in the late-1960s. Another shot of NZ918 in the playground. And the following ones, which I cannot remember the locations. That NZ 946 setup with the slide is just fantastic! Would've been great to have played on those back in the day. Shame we never had one where I grew up. 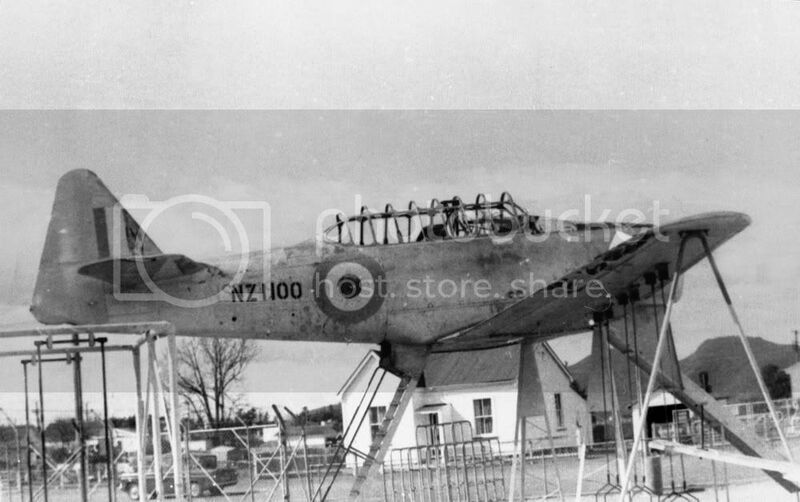 I think NZ1100 was in Takapua (also in the Hawkes Bay). It was there in the early 70's when I used to visit my Grandparents.... but not there now. There was some reference to components from NZ1100 in rnzaf.proboards.com/index.cgi?board=Airshows&action=display&thread=14111. 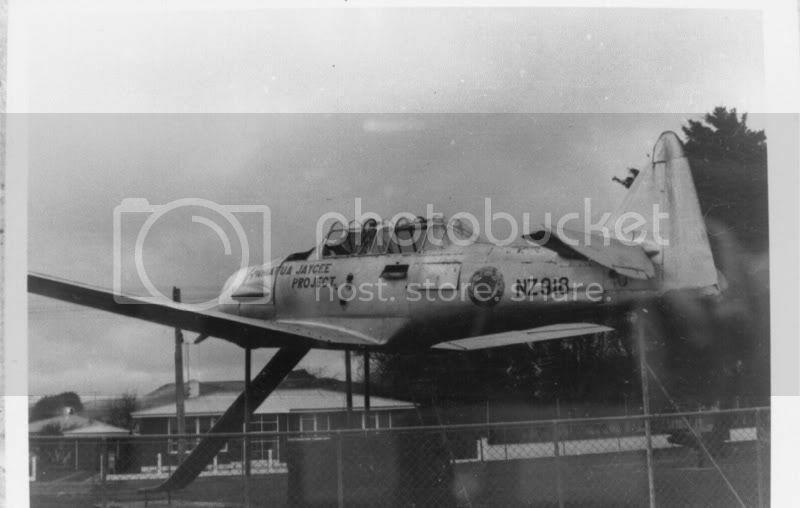 The last photo also looks to be NZ1100. 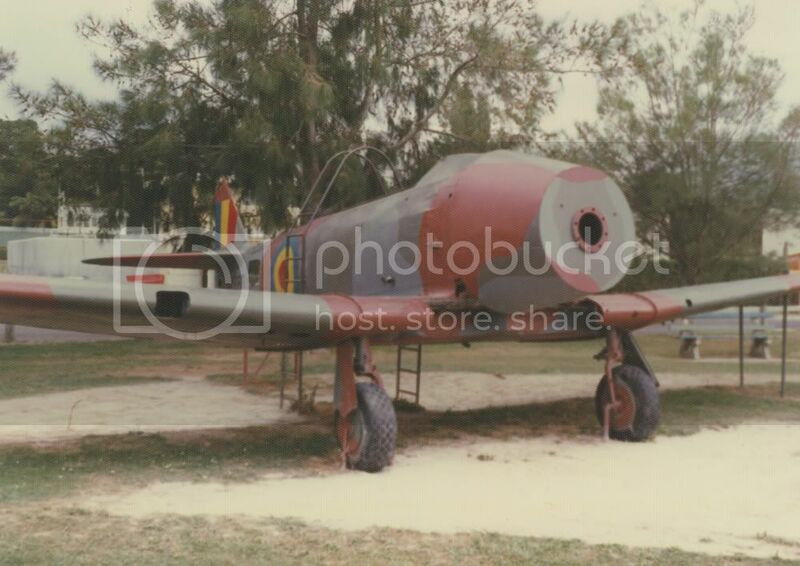 Here is a color photo of NZ1100 in the playground that was posted to the forum a few years back... search for Takapau and you should find it. Wow was it in 1963 ? That photo looks like it's the wrong way round going by the exhaust! Looked in good nick didn't it! 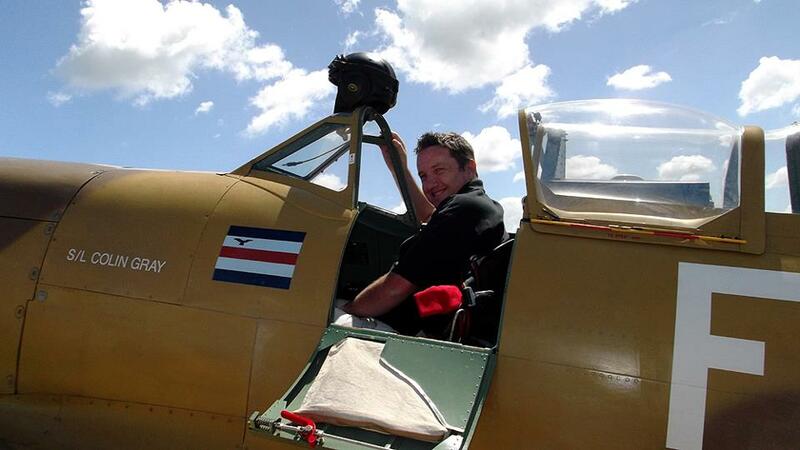 I remember playing in this aircraft as a child; it always smelt of wee! Pretty sure I took this photo during Operation BRA. That means if there was any sly weeing going on hidden behind the car it was either of my two amigos, Baronbeeza and Johnnyfalcon...... nah they wouldn't do that it's daylight. Johhnie may be able to scale those heights but at my age I can manage a nice gentle arc. You did see me check the trailer during the night stop at Hastings Baz, before the Tomahawk was loaded. Then again I was pretty sure I took that pic, you wouldn't have bothered trying to take a similar one.. would you. What was the outcome with that Harvard ? We didn't unload it at Rangiora so did it ever get spruced up ? 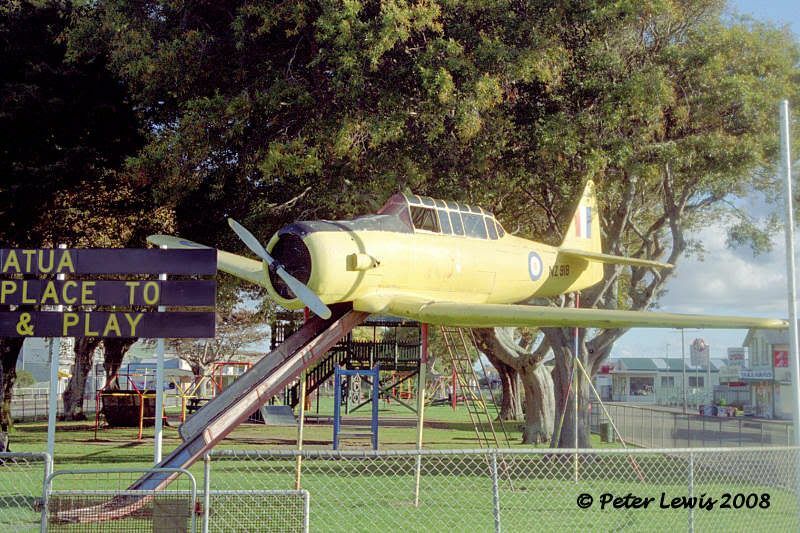 I always thought the Pahiatua Harvard was in the centre median with the playground behind it under the trees. Then the highway split into two dual paths, but it is now wider "one ways" on each side, have to pass to the left now. Yes Graeme, Baz was a very naughty boy and parked his car à la UK style for the pics. We just snucked in a couple of sly youies in the Cambridge Street intersection. I think everyone in the vicinity had a fair idea what was going on and no animals were harmed during the photoshoot. 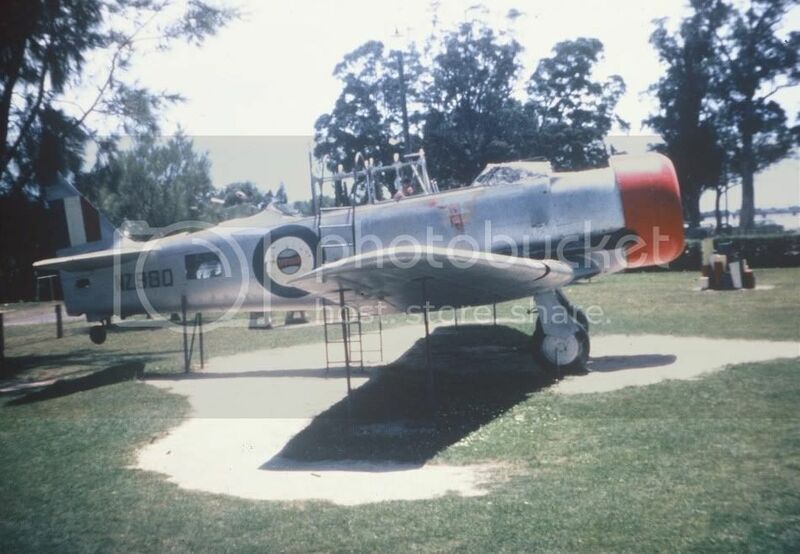 Harvard NZ946 was located at Mayfield, towards Ashburton. 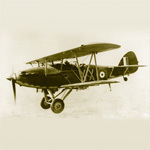 At an earlier date it was fitted with, I think, an Oxford wooden prop. Have a photo of it somewhere. Must have bene installed in 60's or early 70's. Small correction David. Methven, not Mayfield. 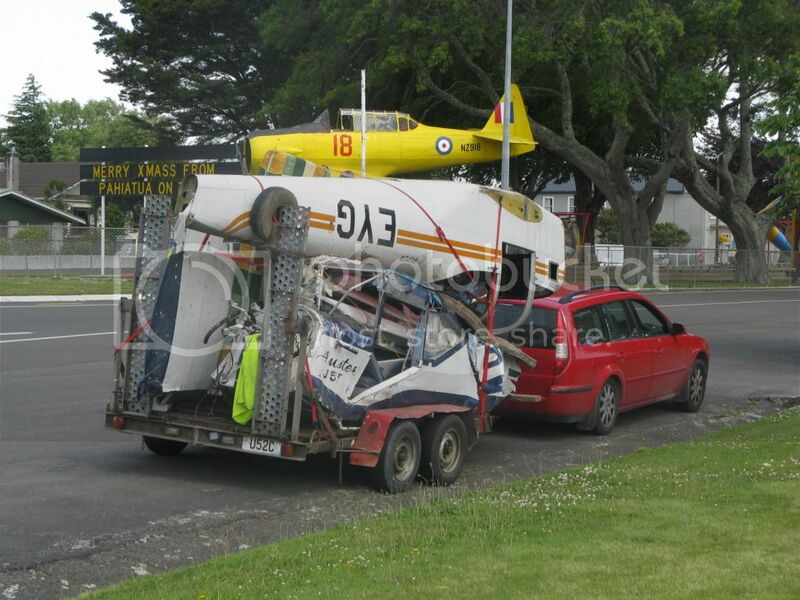 The remains of that fuselage are now with John Walsh in Blenheim. 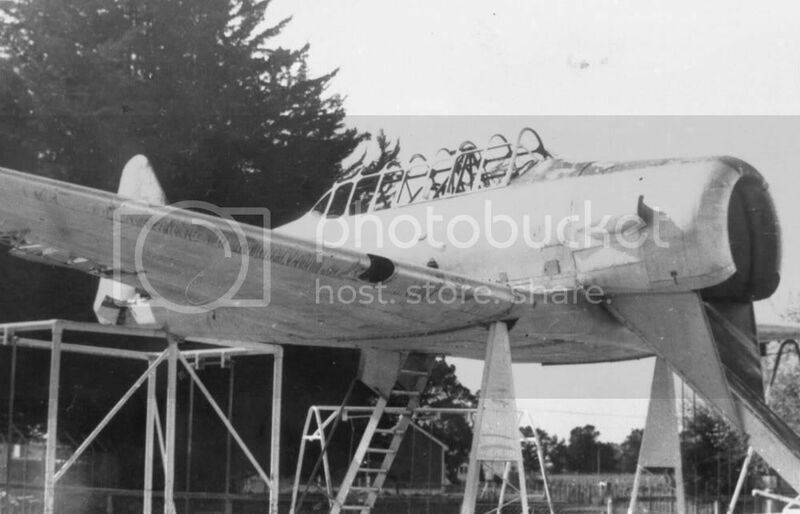 The wings on the Methven Harvard were actually from NZ1077, and are now back in my shed with 1077. Cheers.